Have you had a chance to taste the new Filtered American Wheat made with Skagit Valley Malts? This new seasonal ale will be a regular July, August and September but we wanted to test our recipe for it now. Light, bright and refreshing with a slight citrus flavor due to the use of German Saphir hops, it's a real thirst quencher. Enjoy the Filtered American Wheat with salads and seafood dishes, it's a stunning partner to our Tuna Poke! On tap at North Nut now and soon at South Nut. April means it's Matzoh Ball Soup time. 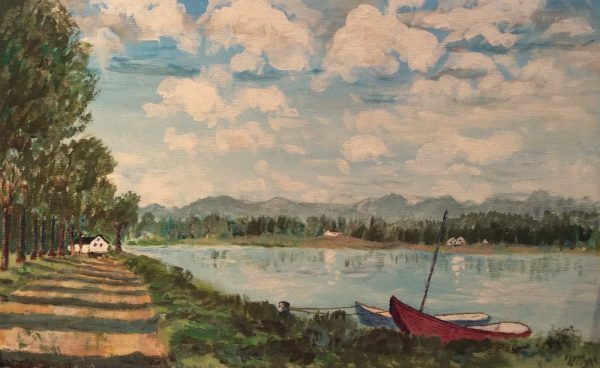 Yes the old delicatessen soup is always available in April at Chuckanut Brewery & Kitchen. Fluffy matzoh balls (like dumplings) served in a beautiful WA chicken broth. And you won't want to miss our creative Hoisin BBQ Hawaiin Pizza made with hoisin & sriracha bbq sauce, local Jack Mountain English style bacon, pineapple chunks, serrano peppers & cilantro. Watch for the new brulee to be introduced later this month! Our annual Spring Beer Dinner takes place on April 30 at 6:30 inside the brewery this year. We're expecting another exciting pairing with beers and food including stories by our brewmaster Will Kemper and additional comments from our chef Jeremy Weizenbaum. The dinner will include: Helles Lager with a housemade sourdough pretzel and smoked cheese sauce. Our new Filtered American Wheat will be served with cured salmon and labneh alongside a cucumber salad. 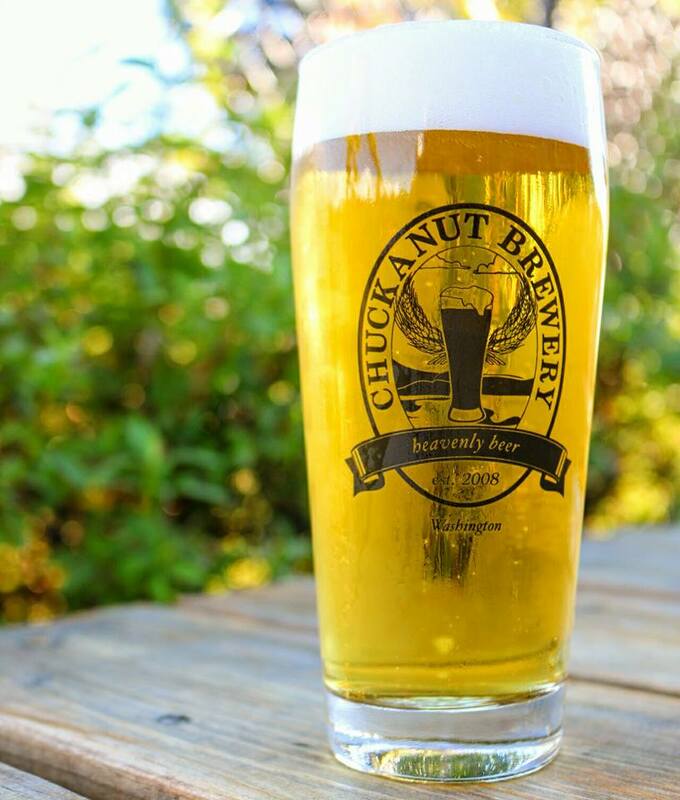 Third course will feature our British IPA with roasted cauliflower & romanesco salad topped with NW hazelnuts. Vienna Lager is paired with malt rubbed pork shank atop smoked gouda grits. And for dessert we'll serve our Export Stout with a salted caramel malt brulee! Get you tickets in advance, $61.95 all inclusive (non refundable but transferable). Call 360-752-3377 option 1 or in person at the Kitchen. 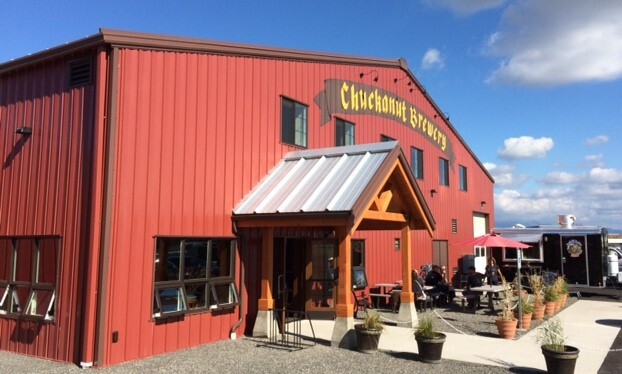 To show off our new Chuckanut South Nut location we have scheduled free brewery tours on the third Saturday of the month at noon. The next one is coming up on April 15. Our visiting food truck will be Rock n Rollin Eats dishing up some great food. Now that the days are longer and the weather is warming we've made some new springtime hours at South Nut starting April 15. Monday to Friday we will be open 3-9 pm (that means we will be open Tuesday) and Saturday to Sunday we'll open noon to 9 pm. Valley Hand Pies will be our regular Tuesday & Thursday Food Truck and we'll be scheduling a variety of other trucks too. Watch our Facebook to keep up with the latest.